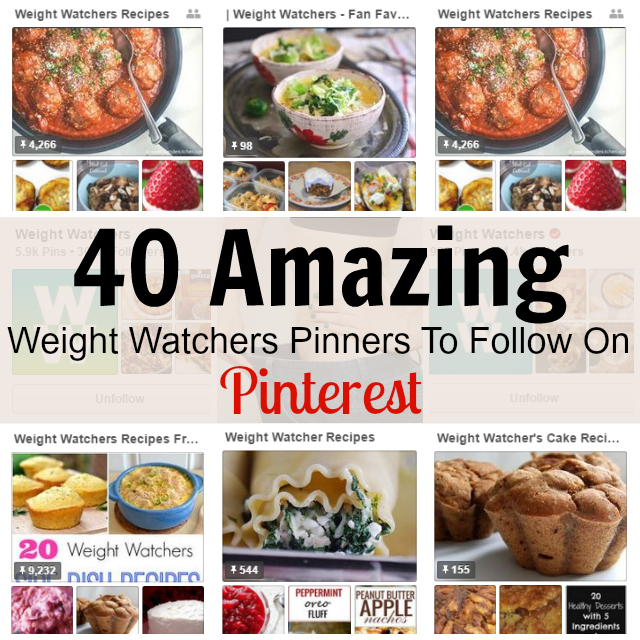 When I started following Weight Watchers, Pinterest was my first stop. Having recipes with point values made following the plan so much easier and less time consuming, so today I'm sharing 40 of my favorite pinners to help you along your weight loss journey! Some pinners are bloggers...some are dedicated/influential Pinterest users. All are inspired. 77 Weight Watchers Recipes: Easy recipes with tips and secrets leaders, renew your menus and amaze your friends. A Pinch Of Healthy's Weight Watchers: Recipes on the lighter side for those of us watching our weight. Becky Cooks Lightly's Weight Watchers: Weight Watcher Recipes With Points + tips and inspiration! Bren's Weight Watchers Supper: Appetizers, Sides, Lunch & Dinner/Supper Recipes. Country Girl's Weight Watcher Foods: Delicious recipes like Weight Watchers Cinnamon Rolls, Honey Mustard Pork Chops, and Cola Chicken Recipe. Cyndie Duham's Weight Watcher's: Terrific board with pins like Zero calorie and Zero point meals, Ultimate WW Grocery List, and Top 10 Low Point Weight Watchers Snacks. Denise Nelson's Weight Watchers: Pink Pomegranate's Denise Nelson. Mom of six, wife, sister, an artist, teacher. Eat Yourself Skinny: A couple of boards with healthy and delicious Weight Watchers recipes with PointsPlus and nutritional information. Emily Bites - Weight Watchers Recipes: Recipes and posts from www.emilybites.com. She cooks and posts lightened up recipes that don't sacrifice flavor - Weight Watchers Points+ values included. Jenna (Recipe Diaries) Weight Watcher Recipes: Skinny recipes, diet recipes, weight watcher related recipes... ANY diet recipe to help you lose weight! Jolaine Coulombe & Weight: Recipes With Points + (weight watchers) AND Healthy Recipes! Joyce McEachern's Weight Watchers: Over 3,000 pins and counting! Just Plum Crazy Weight Watchers Recipes: All things Weight Watchers including recipes, tips and tricks and more. Kelli Schweitzer's Weight Watchers: Over 5,000 pins! Laaloosh: Delicious and healthy Weight Watchers recipes with nutritional information and Points + Values. Seusstastic's Weight Watchers: First grade teacher & the author of seusstastic.blogspot.com. Shrinking On A Budget's Weight Watcher Recipes: "Lightened Up", Craveworthy Delicious, Budget Friendly, and Picky Eater approved Meal Plans the entire family will love. Simply Sweet Party Decor's Weight Watchers: Delicious looking pins such as Twice Baked Potatoes (2 Points+) and Skinny Buffalo Chicken Salad (3 Points+). Skinny Kitchen: Skinny recipes include Weight Watchers POINTS and nutrition facts, plus cooking tips, food finds and more. Skinny Ms. Weight Watchers: Delicious Weight Watchers meals, recipes and foods to help with weight loss and maintenance. 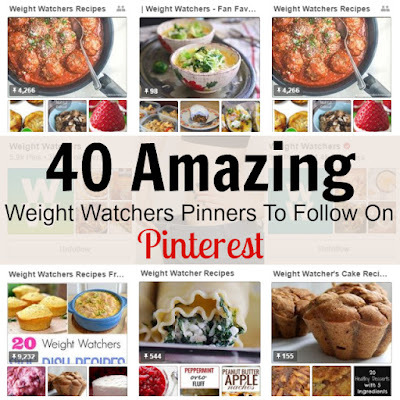 Slender Kitchen's Weight Watchers Recipes: Healthy and delicious Weight Watchers recipes with PointsPlus and nutritional information from some of your favorite healthy bloggers. Stockpiling Moms Weight Watcher Recipes: Weight Watchers Recipes including low fat and lower in calories that help promote weight loss. Weight Watcher Girl: She has lost over 160 Pounds on Weight Watchers! Follow her Pins for Motivation, Weight Watcher Recipes & Tips that have helped her lose Weight and stay on track! Weight Watcher Mom: She started Weight Watcher Mom as a way to get back on track with her weight loss. Weight Watchers Cake Recipes: Delicious pins such as Lemon Raspberry Pound Cake, Red Velvet Cupcakes, and Apple Cinnamon Crumble "Dump" Cake. Weight Watchers Crock Pot Recipes: Easy, healthy, delicious slow cooker recipes with Weight Watchers PointsPlus Values and Nutrition Information (smart points+ values). 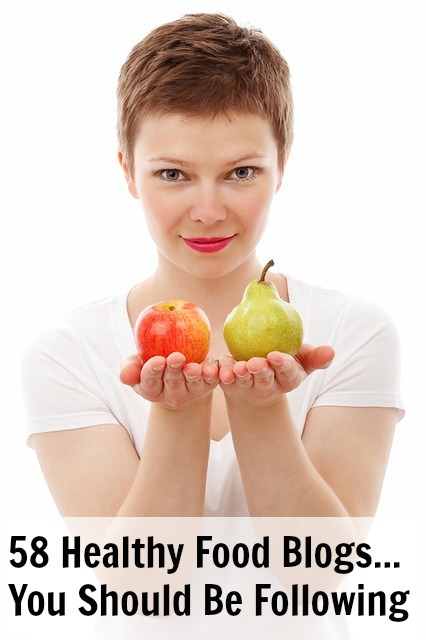 Weight Watchers Desserts: Weight Watchers Desserts and treats, with Points Plus values. Weight Watchers Entrees: Delicious entree pins with point values such as Weight Watchers Chicken Taco Salad Recipe, Deep Dish Pizza Casserole, and Baked Ziti. Weight Watchers: Weight Watchers recipes at your fingertips. WW ~ Weight Watchers: Changing people's relationship with food for good. Weight Watchers Friendly Recipes: Kitchme's healthy Weight Watchers Friendly Recipes, such as Weight Watchers Comfort Foods,Weight Watchers Restaurant Copycat Recipes, and Weight Watchers Casserole Recipes. Weight Watchers Journey: Boards with 0-5 point foods, pastas, soup and salads, and many more. Weight Watchers Old Points: Pins with the original point values including Burrito Bake (6 Points) and Hawaiian Dream Cake (4 Points). WW ~ Weight Watchers Recipes: Your Daily Weight Watchers Recipes. Weight Watchers Recipes: A variety of Weight Watcher Boards from bread to candy recipes. Weight Watchers Recipes: Tasty pins such as Gooey Rocky Road Bars for PointsPlus 3 and Tortilla Roll-Ups Plus+ 2 Per Serving. Weight Watchers Recipes: A variety of delicious pins like Spaghetti Pizza and Blueberry Peach Cobbler. Weight Watchers Sides: Side recipe pins for Parmesan Hasselback Sweet Potatoes with Balsamic Glaze, Roasted Rainbow Carrots with Ginger, Shredded Potato and Carrot Latkes, and more! Weight Watchers Snacks and Desserts: Board includes yummy pins such as Banana Split Pie and Healthy Energy Balls. Weight Watchers UK: Weight Watchers is dedicated to inspiring and helping you adopt a healthier way to live. For life. So those are my favorite Weight Watcher Boards on Pinterest? Do you have a favorite? Which boards have helped you lose weight? Please share your favorites in comments below.